You’ve tried everything to lose weight and it’s not working. You’ve been training hard in the gym and think you’ve cracked your diet – so what are you doing wrong? In this article we’ll take a look at the most common fat loss mistakes. They’re not in any particular order but some might apply to you more than others. Once you’ve read you’ll never commit them again. Bottom line – nutrition is your most important weapon in the fat loss war. It can be manipulated much easier than exercise, and with so much variety in foods you can play around with diets until you find a plan that suits you. After a few weeks of ‘healthy eating’ you’ll probably notice that your progress is starting to plateau. You’ve taken out all of the big issues – the soda, sweets and takeouts that were of immediate concern to your new diet. The best way to be successful in a fat loss program is to hit a calorie deficit – simply, you need to eat less calories than you burn off. If you’re not keeping a track of how much you’re eating it can be difficult to know whether you’re actually in a deficit or not. Studies suggest though that when we self-report what we eat, we very often under-report – we basically eat more than we think we do. That can be the big difference between deficit and surplus. A study in the New England Journal of Medicine  found that overweight participants were likely to under-report food intakes by 47%. Interestingly, the same group of people were likely to over-report their activity levels by 51% and blame ‘genetics’ for their weight problems. By tracking your food intake you make yourself more accountable. It’ll also open your eyes to exactly how much you are eating. You just need to be honest when recording what you’ve eaten or the whole exercise becomes pointless. Cardio exercise is a great way to build up the efficiency of your heart and lungs, and to a degree can be useful for fat loss. But it is not the most effective method. Instead you need to be focusing your attention on more productive fat burning exercises such as weight training and high-intensity interval training (HIIT). The beauty of both of these approaches is not only do they burn calories during exercise, they continue to burn them afterwards too – a process called the ‘after burn’ effect. HIIT has been found to burn as many as 14kcal per minute  – far more than traditional moderate intensity cardio. It will also elevate growth hormone – a potent part of muscle building. Weight training is a great way of elevating your metabolic rate. In fact, the amount of muscle you have controls how many calories your body burns, so the leaner you are the better at shredding fat you’ll be too. One study  found that when women participated in both cardio and weight training whilst on a calorie-controlled diet, they lost 21.1lbs of fat over a 12-week period – 44% more than those who were dieting alone. If you’re concerned you’ll put muscle ‘bulk’ on then don’t be. Studies have also found that when women undertake even intense lower body weight training, strength and lean mass increase, body fat decreases and more importantly – thigh girth remains the same . One exercise plan will only take you so far – after a while it’ll start to get less challenging, and as a consequence you’ll expend less calories completing it. At first it worked, but after a few weeks it won’t. As your body adapts to the challenge of exercise you need to progress the difficulty. The human body very quickly adapts to the demands of exercise. Aim to change your workout schedules every 2-4 weeks. You don’t have to change the full workout every session – instead you can make little tweaks here and there. Changing the weights you use, the speeds at which you run, your rest times or the order of exercises are all useful. 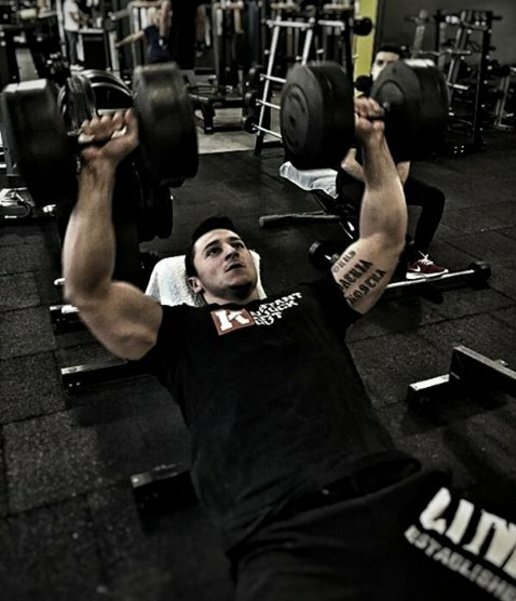 Aiming to complete more reps and sets are also great at overloading you out of your fat loss plateau. Protein is the most satiating nutrient we could eat – and it does more than just build new muscle. Adding protein to each meal can help to keep you feeling fuller for longer which can help to reduce your overall food intake. It can also help to ramp up your metabolism. A study published in the International Journal of Obesity and Related Metabolic Disorders  found that when 50 overweight or obese volunteers were put on either a high protein or medium protein diet, their body composition changed significantly. The high protein group lost 9.4kg in comparison to 5.9kg in the medium group. Not only that but they lost an extra 10% body fat too. Research shows that by increasing intake levels of this nutrient you can lose weight – it works in two different ways. The first is that it increases your metabolism, and the second is that it creates fullness which reduces overall appetite. It has been shown to not only help you reduce weight, but specifically reduce fat from your belly. This one comes down to calories again. When you exercise you might burn 400 or 500kcal – even more if it’ a tough session. This isn’t an excuse to eat more snacks or junk food though. Those calories you lost will soon reappear. Whilst it’s hard work to burn those calories, it is really easy to pile them back on with high-calorie foods. The workout clothes come off, you’re hungry and all of a sudden you fancy that cake or chocolate bar. The immediate period after the workout is a great opportunity to feed your body with high-quality food that it can use to restore lost energy. It isn’t an excuse to overeat. Make decisions that will support your goals, not ruin them. Water is an essential nutrient – and when you exercise regularly you need more of it to stay hydrated. Not only that, but drinking regularly will boost your metabolism and keep you feeling fuller for longer. Drinking 500ml of water before eating has been found to reduce total food intake, making it easier to reach a calorie deficit. One study found that doing this over a 12 week period boosted weight loss by 2kg . Studies have shown that as you become dehydrated you’re ability to perform physical activity reduces, meaning the quality of your workouts will plummet. If you become 3-5% dehydrated you’ll lose strength and endurance and your cognitive abilities will decrease too . Drinking water is essential for a successful fat loss plan. Eating lots of fruit and vegetables will also keep you hydrated as well. Just stay away from sweetened drinks as these can be surprisingly high in calories. Watching calories is hard work but it shouldn’t be a straitjacket. It’s even harder when you completely eliminate your favorite foods altogether. Once you break – and chances are you will – it is easy to completely thrown in the towel. Too many people who are trying to lose weight develop the all-or-nothing attitude. This is setting you up for failure though. Using a more flexible approach where you can occasionally have your bowl of pasta or your favorite ice cream allows you to satisfy your cravings. All you have to do is factor in the calories and take them out of your diet elsewhere. Research has found that flexible diets are far more successful than restricted ones . Flexible eaters tend to have a higher absence of overeating, lower body mass and lower levels of depression and anxiety . We’d suggest though that you are flexible every now and then – good, whole foods should still account for the bulk of your diet. Occasional treats and cheats will just help to keep you on track. When trying to lose weight or burn fat, many people still think you need to cut out an entire food group – typically either carbs or fat. It just isn’t sustainable. All this does is put you under pressure to restrict your diet, and leave you open to nutrient deficiencies that can affect the success of your fat loss. By restricting carbs you’ll be sacrificing your body’s immediate energy stores – these are essential for high-quality workouts. Take healthy fats out of your diet and you’ll be sacrificing cholesterol – an important precursor for making steroid hormones such as testosterone and cortisol. Balance your macros to suit your needs. But don’t eliminate them altogether. It is important when you exercise that you train all of your large muscle groups – and this includes the muscles of the trunk. A common mistake though is that some people finish their workouts 10 or 15 minutes early so they can complete an abs circuits every session. These exercises won’t burn the fat that lies above the muscle – so called ‘spot reduction‘ is a myth. In the grand scheme of things crunches, ab curls and so on aren’t effective calorie burners – you’ll not see much muscle definition there until you lose the layer of fat covering them. Instead focus on high-intensity workouts and weightlifting. This approach is much more effective. The occasional 4-ounce glass of red is great for boosting healthy antioxidants, but extra large glasses on a nightly basis will soon have you piling on the pounds. Alcohol is very energy dense – it has 7kcal per gram. When you bear in mind that fats have 9kcal per gram it gives you an idea of how calorific your evening treat is. Add on top the added sugars and flavorings that many drinks have and it becomes a road to diet ruin.